Our devices operate on MyFamily Mobile bespoke data network with SIMs that capable of auto switching between signals dependent upon which is strongest. 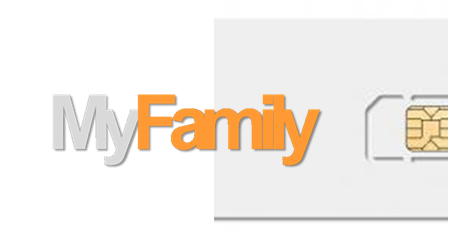 MyFamily operates on GSM networks to relay its position to loved ones and its inbuilt intelligence allows the devices to select the best GSM network to use at any point in time. So in an emergency the likelihood of the device not communicating its position to fellow loved ones is remote as at least one network will be operational. Traditional roaming SIMs rely on a core network, which owns the physical SIM card and provides the service through agreements with networks worldwide. Firstly, the SIM is owned by YOU, not the network. A profile is provided on the SIM which consists of independent IMSIs from different networks around the world. Although the SIM automatically swaps networks if it loses connection, if there is a technical issue on the core infrastructure, the SIM cannot connect to any network. Our solution enables the SIM to automatically swap between IMSIs (networks) on completely separate infrastructures, creating a “No Single Point of Failure” network topology. In the cases above, the only solution is to swap the SIM out and use a SIM from another network, which is the worst scenario when devices are located in rural or inaccessible areas. IMSIs can also be swapped Over The Air (OTA) avoiding any disruption to the connectivity of the application. Our partner of 15+ years’ has experience working with global mission-critical applications has led us to develop a unique “No-Single-Point-of-Failure” solution designed specifically for IoTapplications. With agreements with a growing list of networks around the world and have included their independent IMSIs on the SIM cards. There is an application on the SIM that automatically detects loss of signal and swaps to an IMSI on a completely different infrastructure to prevent loss of connectivity. There is an Over-The-Air platform to update the SIM profile remotely “on-demand” which allows complete control over the connectivity of the device.